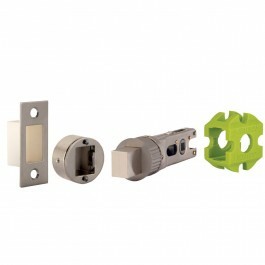 Jigtech's revolutionary smart door handle fitting system. 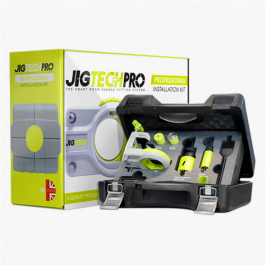 The new jigtech door handle and latch fitting system is set to transform the door handle fitting industry. Fits in under 5 minutes, 100% Accurate every time. 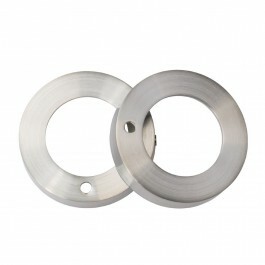 The high quality contemporary lever designs mounted on Jigtech fast fit roses. Factory assembled with spindle and rose fitted for quick installation. 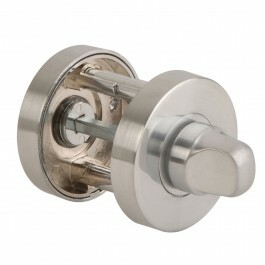 This Vecta door handle is available in a polished Chrome. 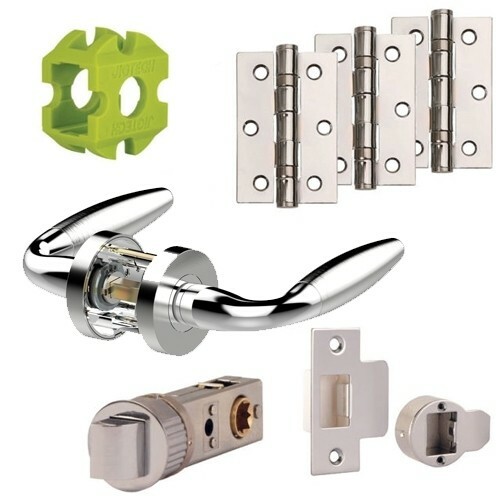 Door Handle Pack Contains 3 - 75mm Ball Bearing Hinges 1- Vecta Door Handles 1- round jigtech Latch Please note: To use items as push button privacy you will require the privacy latch JTL4222 and rose covers JTA5201. 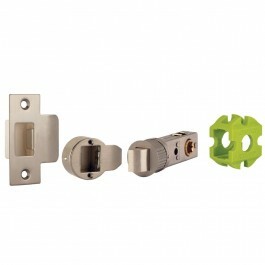 To use items as traditional thumbturn you will require bathroom bolt JTL4223 and turn and release set JTA5501.